The Internet - Good? OR Bad? Barbara, where is that Chinese Restaurant? Google it. Barbara, I need to get to the Galleria? Use Google maps. Barbara, which device should I buy? Please recommend. Checkout reviews of the device. 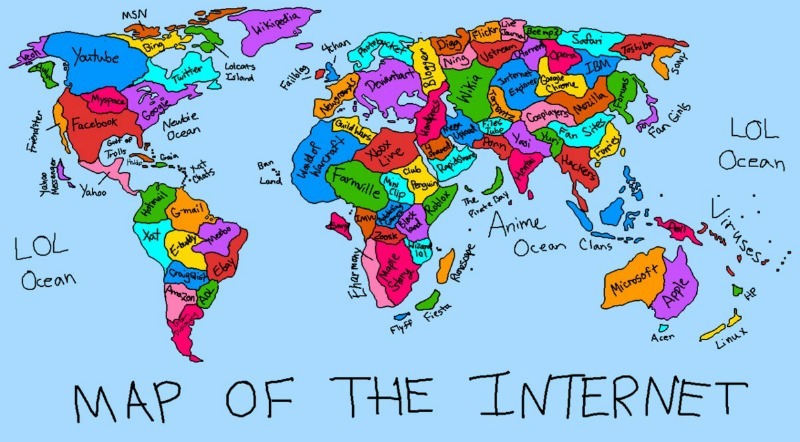 Yes, the internet has taken over our lives in every way possible. Even if you choose to stand aloof and pretend not to be in the foray of it all. Now, now, there is no need to be despondent about the lack of our desire to dig deep or find things out for ourselves by research and deep study. We still do that you know. But then, there is that never ending question that constantly resonates in our head…. is having the internet an advantage or a disadvantage? does it help our existence or just make it worse? I’m constantly embroiled in various arguments on social media about the younger generation’s inability to find out things for themselves. No, I’m not old, but I consider myself past the younger generation if that makes any kind of sense. Where was I? Yes, the younger generation’s inability to find out things for themselves. Let’s start with that. There was a time when in a funny way, the younger generation were the harbingers of current trendy information. They told us what styles were in vogue, what programs were on TV, the beauty trends we needed to try, the best hangouts in town and even the best new recipes. They still bring us all these information, but for the most part, they aren’t indicative of a deep understanding of the subject and leave us more confused than clear minded. How else can you explain telling us that Mad Men is the hottest new series and not letting us know that it’ll only appeal to those who have an interest in the advertising and marketing communications industries? Or telling us that highlighting and contouring is the best thing that happened to makeup but forgetting to mention that moderation is the best thing that happened to it? That’s just two examples mind you, who knows how many more wild goose chases they’ve sent us on with information that barely scratches the surface. But that’s just one school of thought mind you. This school says that the internet is next to the worst thing that ever happened. It makes us lazy, makes us neglectful, makes us shallow, makes us disinterested in life, makes us……….dunno, not as knowledgeable as we ought to be with deep thinking and long hours of meditation I’d say. The other school of thought says that the internet is the best thing that could have happened to us. On a scale of 1-100, I’d say my membership in this school is gearing towards 80. Maybe that’s because I’m of the generation that has benefited immensely from the existence of the internet or something of the sort. It answers all my questions and even questions I haven’t thought to ask yet. It keeps me up to date and when it seems like I’m stepping into the dated zone of life all I have to do is skim search pages, visit some blogs, engage in trending topics on twitter and connect with a long lost contact on social media and I’m back in the full swing of things. Usually, I have a way of using the internet that makes it more of a help than hindrance to me. I’m not saying that they are foolproof but hey, the least I can do is share the steps I use with you right? 1. Have a clear idea of what you want the internet to do for you. 2. Don’t let social media distract you. 3. Itemise your online priorities and stick to them. 4. Don’t stop at page 1 when searching. 5. Find the right pages and sites that you connect with and visit them regularly. Now, now, now, let’s not confuse the issue. There are times that I’ve been sidetracked but I have to confess that having the above guidelines has helped me immensely. Whatever side you are on, there is only one thing to remember – the internet is there for your use, use it as you see fit. It’s up to you, whatever it ends up being to and for you.